Neumann said GM Europe reduced losses last year. 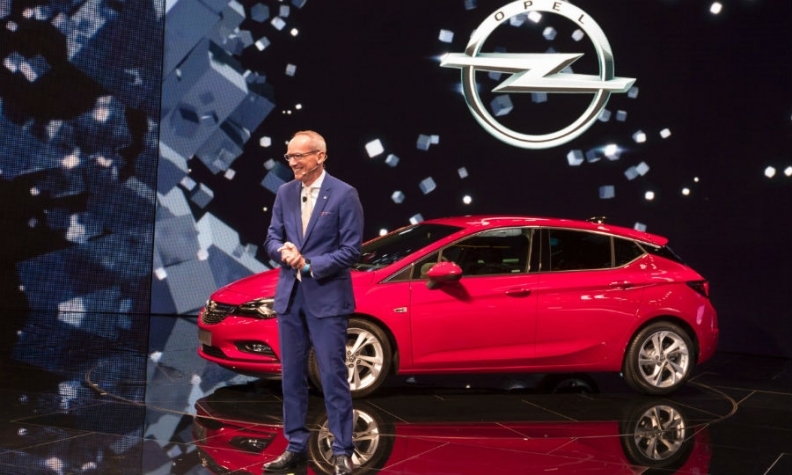 He is pictured at the unveiling of the new Astra at the Frankfurt auto show in September. BERLIN -- General Motors was still loss-making in 2015 but hopes to return to profit this year, the division's CEO, Karl-Thomas Neumann, told a German magazine. GM had previously set a target for its European operations, which comprise the Opel and Vauxhall brands, to return to profitability by 2016. The last time GM made an annual net profit in Europe was in 1999. "The turnaround is hard. But we still want to reach the break-even in 2016," Neumann told Auto Bild in an interview. Cost cuts and new products such as the latest Astra compact car, which went on sale in October, will help the division return to profitability, Neumann said. He said the Opel/Vauxhall brands are earning higher margins on the cars they sell because customers are buying more optional equipment. "In the past Opel did not do well in this area compared with our rivals," he said. Losses in Europe have been widening in recent months, primarily due to lost sales in Russia, GM Europe's third largest market. GM said its European operations made a third-quarter EBIT loss of $0.2 billion, compared with $0.4 billion in the year-earlier quarter. This is a deterioration from the flat EBIT ($0.0 billion) the company published in the second quarter. Asked by Auto Bild if the division had made a profit last year, Neumann replied "No." "We had one quarter where we almost went into the black. Overall we managed to significantly reduce the losses in the first three quarters of 2015," Neumann was further quoted as saying. Amid a market slump in Russia, GM has ended sales of Opel cars and mainstream Chevrolet models in the country and closed its St. Petersburg factory. Opel said on Monday that it achieved its best unit sales result for four years in 2015. The automaker's volume, including Vauxhall sales, rose 3.3 percent to more than 1.1 million vehicles, growing slightly stronger than the overall European market. "2015 was the best year for Opel since 2011 thanks to our product offensive. We have increased our volume and our market share and are optimistic that we will be able to continue this success in 2016,” Peter Christian Kuespert, Opel's sales and marketing chief, said in a statement. He said Opel has received 80,000 orders for the new Astra since November and the automaker expects a further boost when the Astra Sports Tourer wagon variant goes on sale in the spring.